A week or so ago, I posted a coaster from the Broadmoor Hotel in Colorado Springs here in the [coaster collection] that made it the #21. Today is another sweet hotel - the Adolphus Hotel in Dallas - that is now #22. I stayed at the Adolphus for a few nights and had a huge room. I guess I shouldn't expect anything less down in Texas, right? 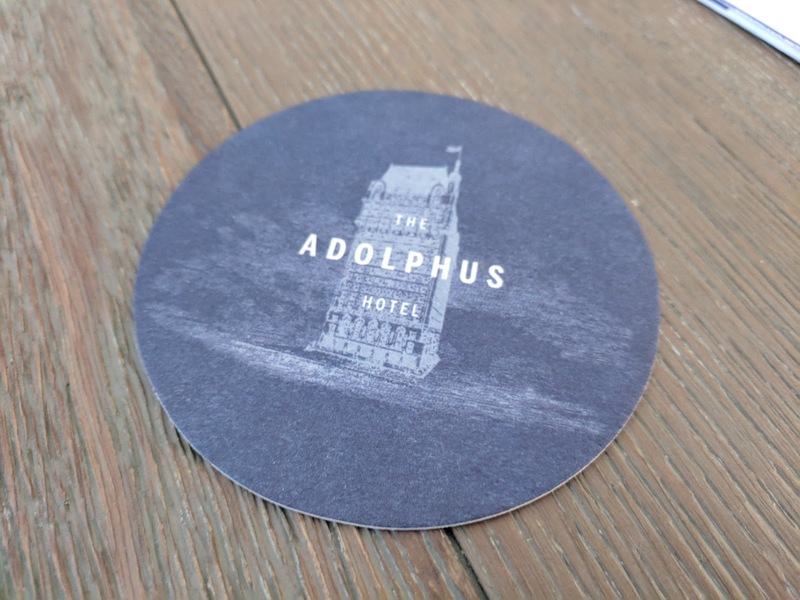 I have a soft spot in my heart for vintage, old-fashioned hotels and the Adolphus lived up to it's billing.